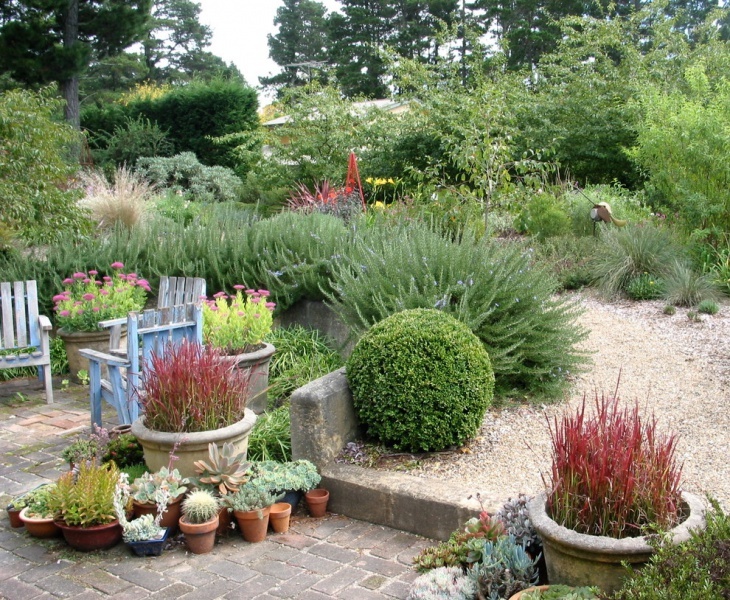 Succulent gardens are easy to grow, maintain and take care of! 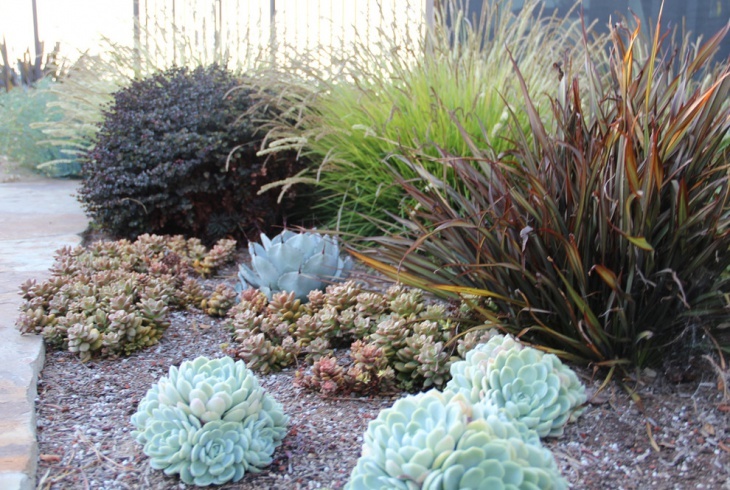 The best part about succulent gardens is that they require minimum care and effort and they also grow in confined spaces, even in the absence of abundant soil. They can be placed in the compound of your house, or even kept inside the garden. 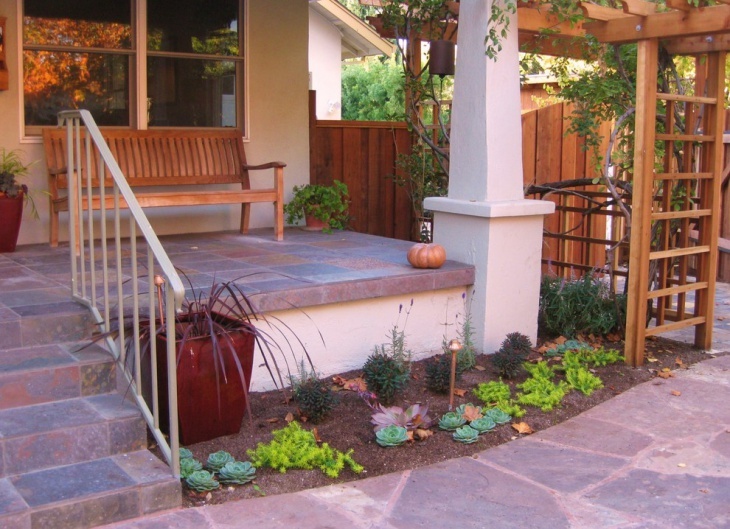 Below is a list of succulent garden ideas for you to exclusively select from. 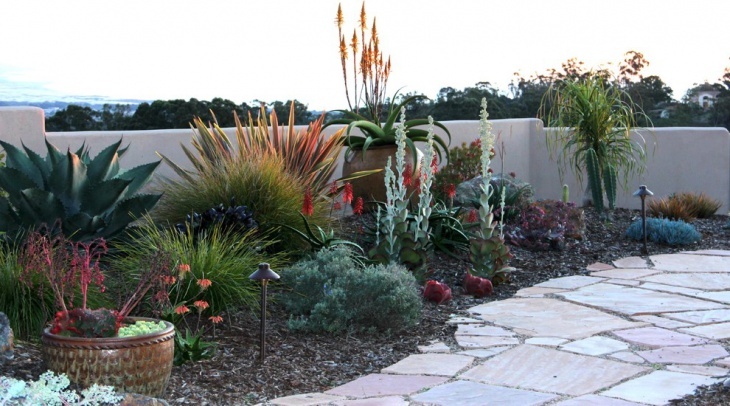 This large and colorful garden is exotic and beautiful to look at. It features several types of plants with flowers in a variety of colors, which makes the garden look so colorful. These succulents have several shapes, textures and also rocks. This container garden has several plants in small succulent pots. It features two same looking plants in red which have been placed in the pots and they are an instant attention grasping plants along with several succulents placed in pots. This is an indoor succulent garden design and is absolutely mesmerizing. The plants have been placed in a large stainless steel planter with soil deep within. 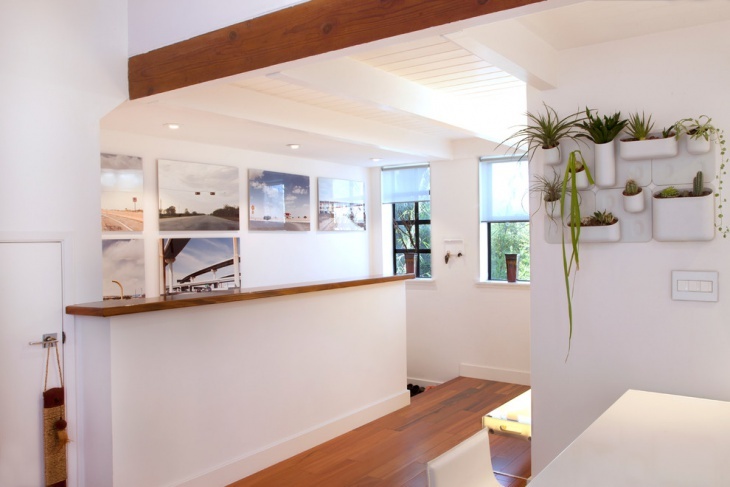 It is a great indoor landscaping idea and can be placed in drawing rooms, patios etc. Succulent plants can be placed indoors as well as outdoors. This outdoor succulent plant idea is amazing. 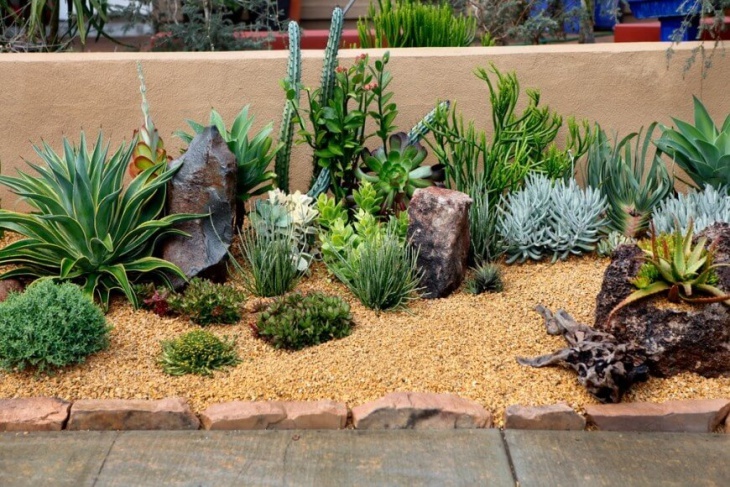 With several plants in a number of colors and designs, including a cactus plant, this is a great landscaping idea by making use of succulents. 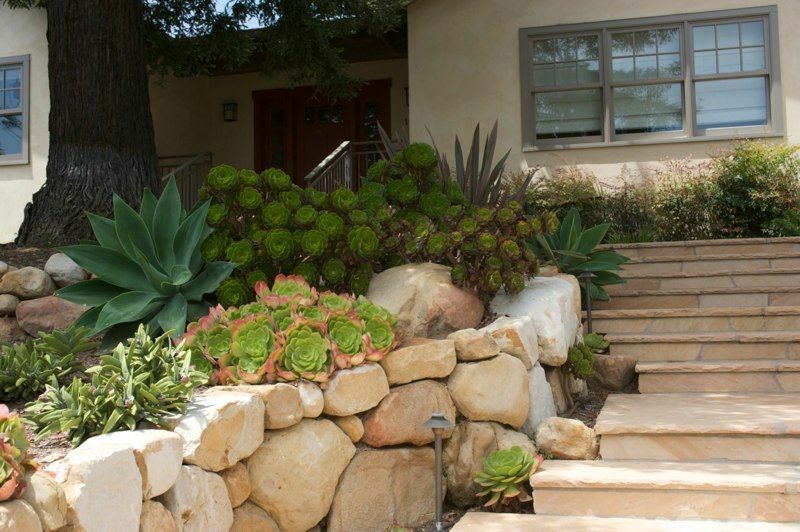 This landscaping garden features round shape succulents with many number of rocks surrounding the plants. 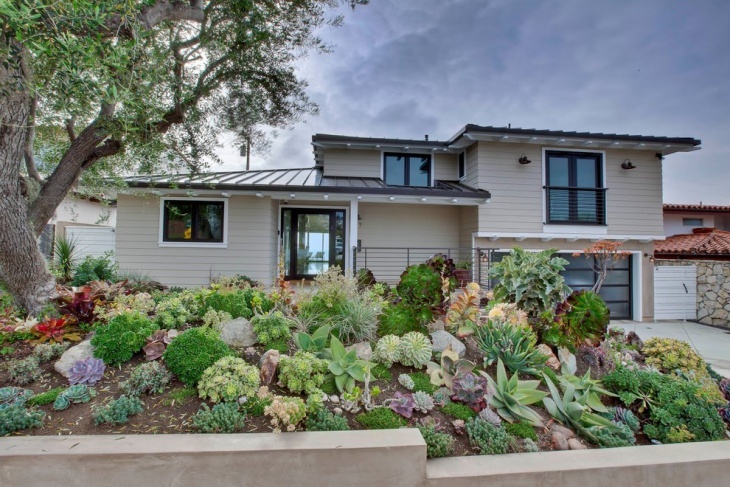 This is a contemporary landscape idea which has succulent plants that are known to be drought resistant and can survive in extreme weather conditions. 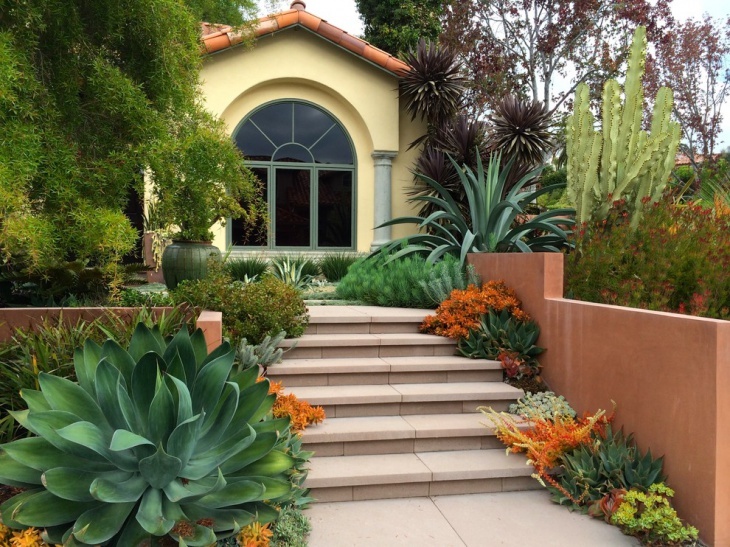 This large and spacious garden featuring several succulents and desert plants including cactuses is one beautiful contemporary landscaping idea. 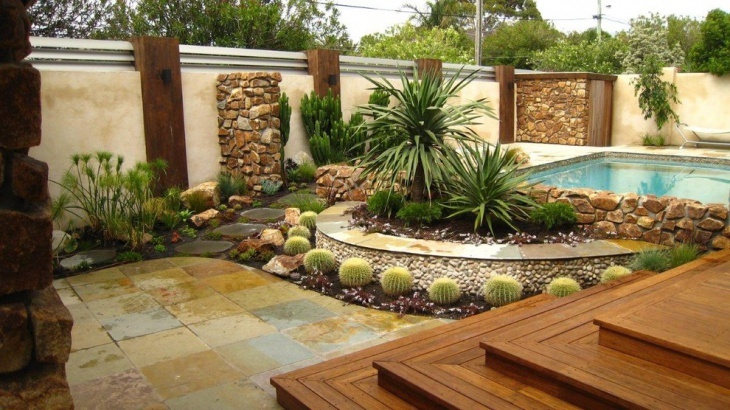 This garden also features a pool next to which are the succulents along with rocks. 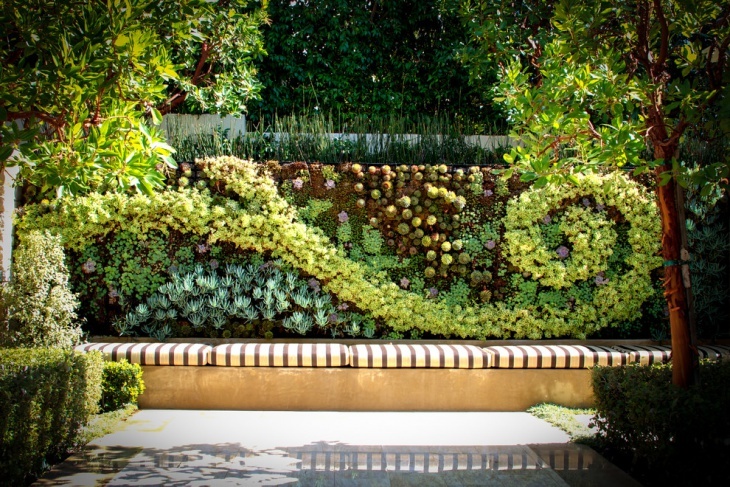 This is a very beautiful contemporary landscaping idea where the succulents have been planted on the walls. 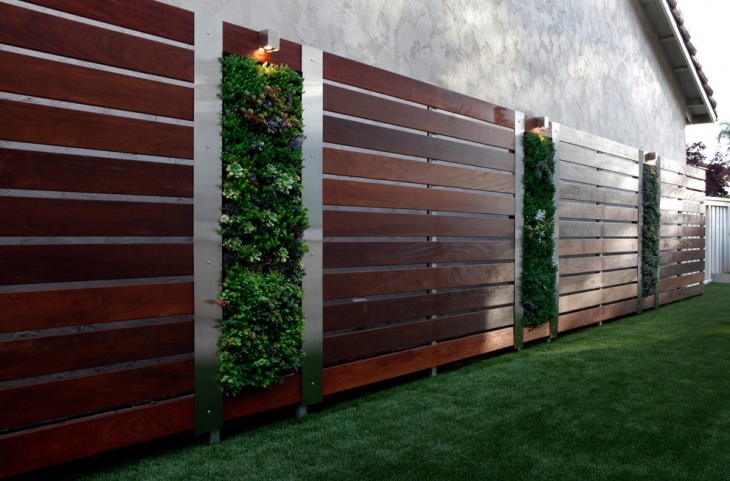 The succulent wall hanging is like a vertical landscape which needs the same care and maintenance as any other garden. 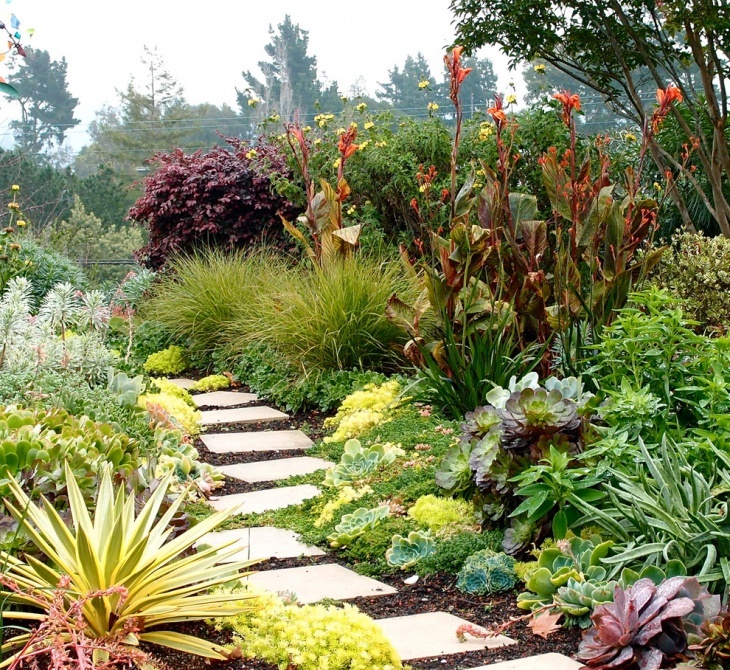 This is a succulent flower garden where the garden’s stone path is surrounded with tropical plants, ornamental grass and a bed of succulent plants. 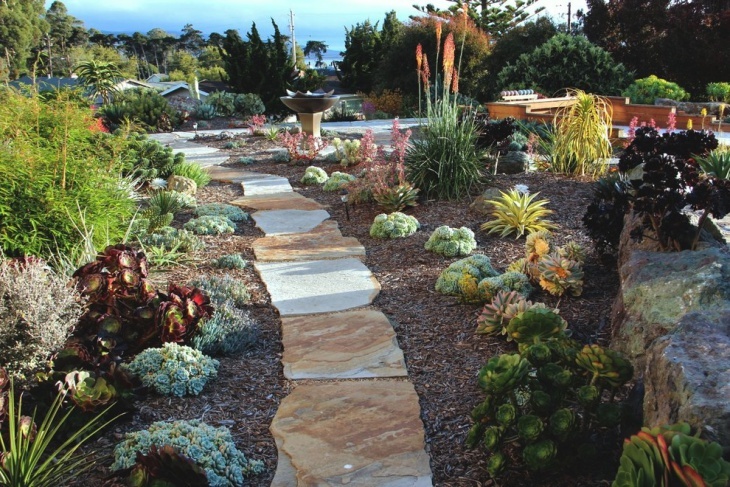 It is a very beautiful contemporary landscape featuring tones of succulents along with rocks and pebbles. Well, succulents are not only grown in small but they can also be grown into very large plants. 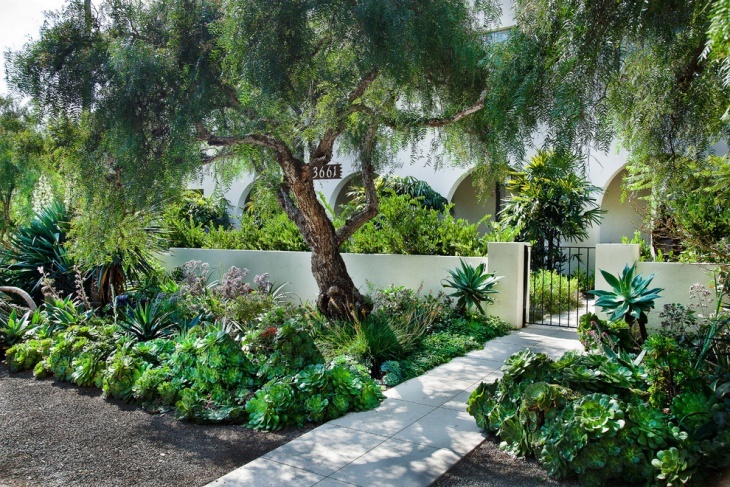 This Mediterranean style landscape in the front entrance of the main door is absolutely refreshing and has plenty of greens with several types of flowers. Succulent plants require very easy care and maintenance and can be placed indoors and outdoors. As you can see above, they can be placed at your doorstep, patio or even the entrance of your house. 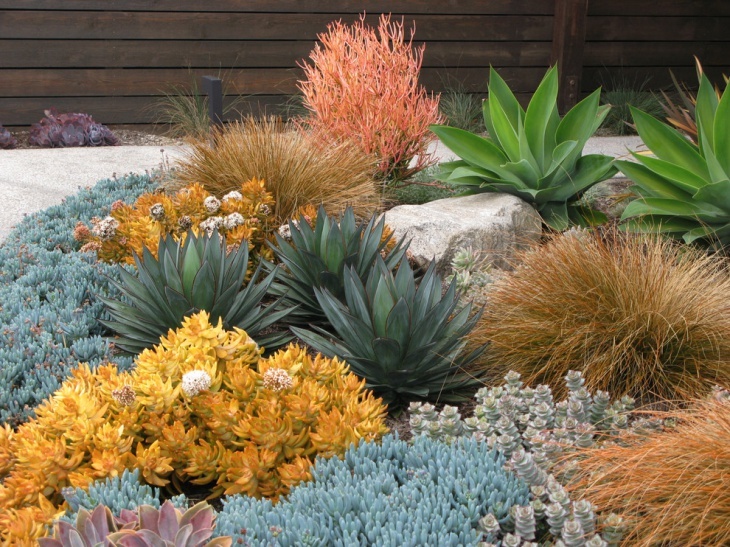 Succulents are available in plenty of bright colors with flowers and can be incorporated in several ways of a landscape. 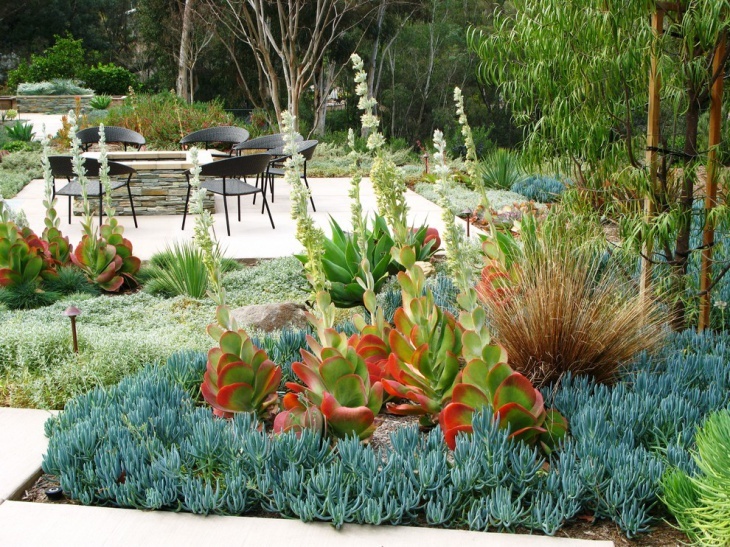 You can draw inspiration from the above succulent garden ideas to create one of your kind.